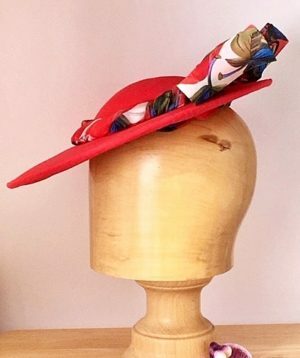 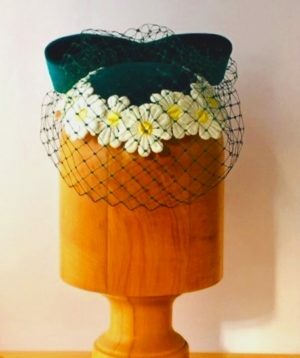 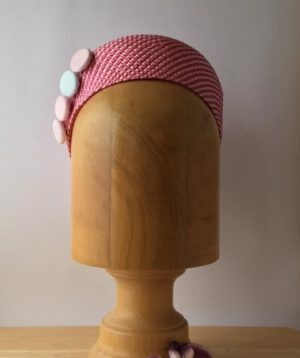 Sophia is a beautiful hand made hat designed to sit with the brim sweeping down from left to right. 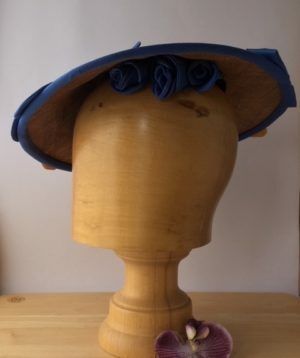 The base and crown are stiffened with double stiffened buckram and wire for the brim, and both crown edges. 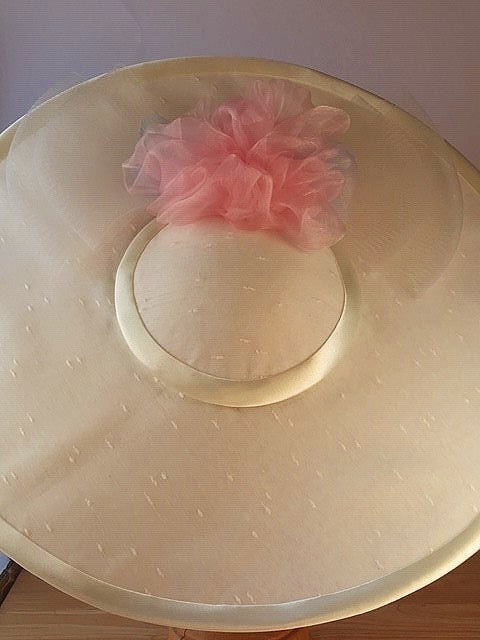 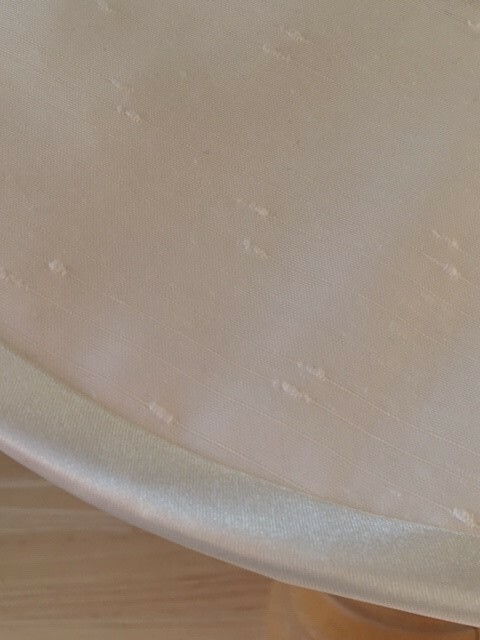 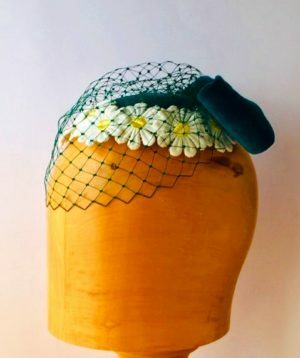 The finished hat is covered with an off white voile and all edges are covered with an ivory bias binding. 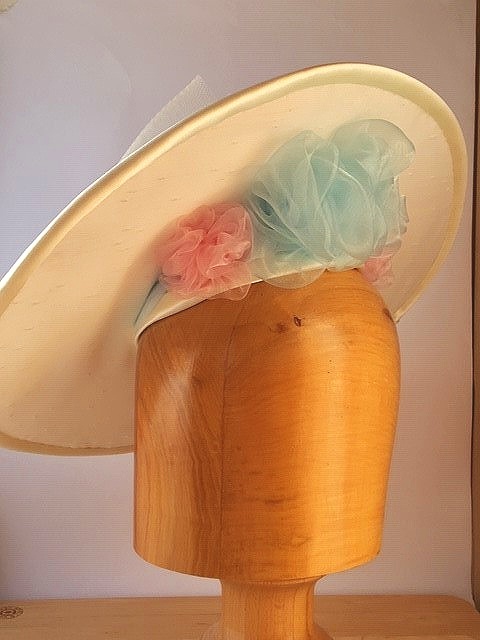 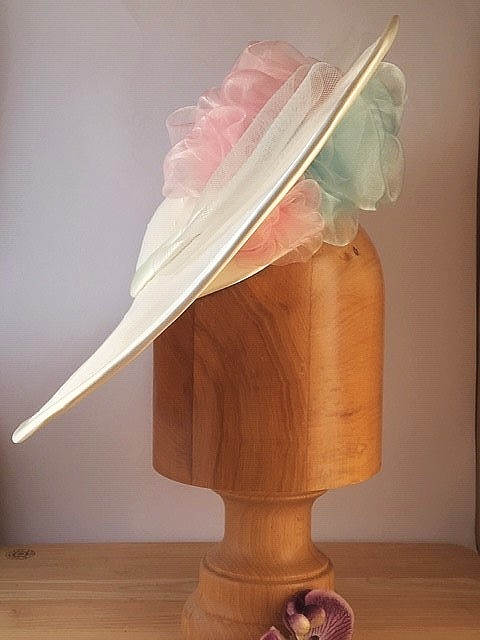 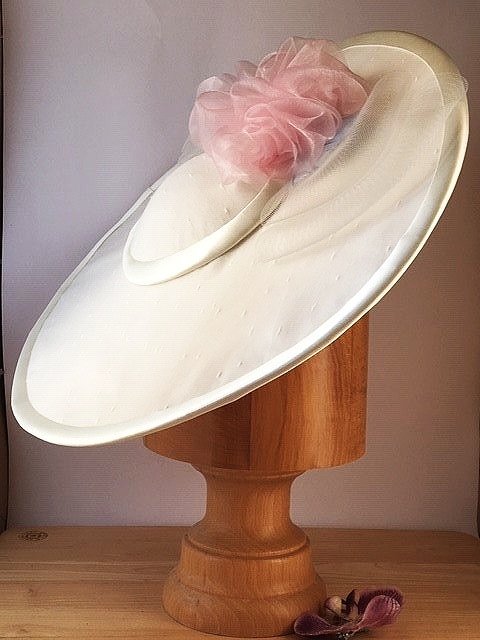 The crown, brim and brim underside are adorned with baby pink and blue organza motifs a large crin double bow and small blue feathers. 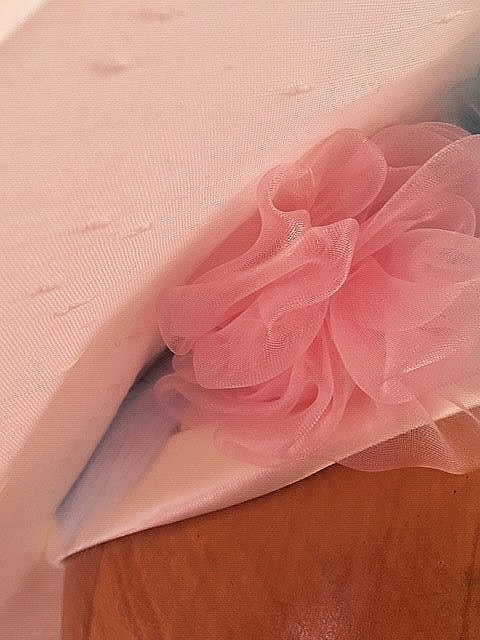 The underside of the crown is also covered in voile fabric. 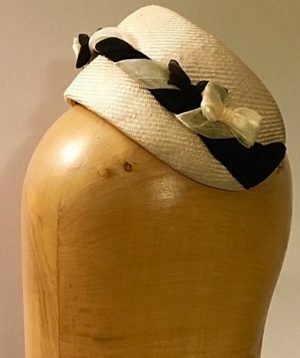 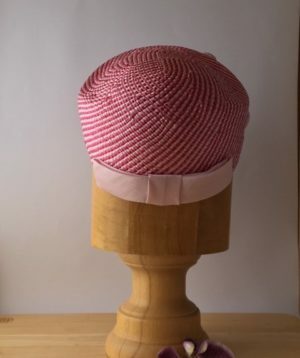 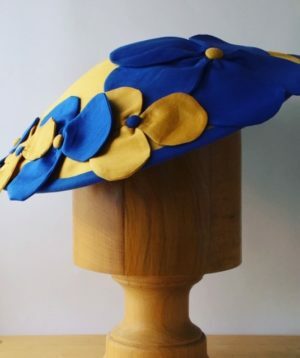 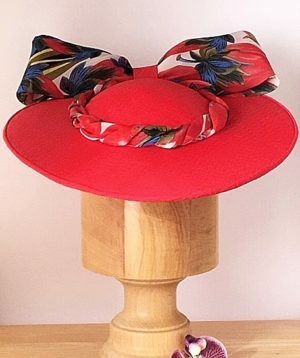 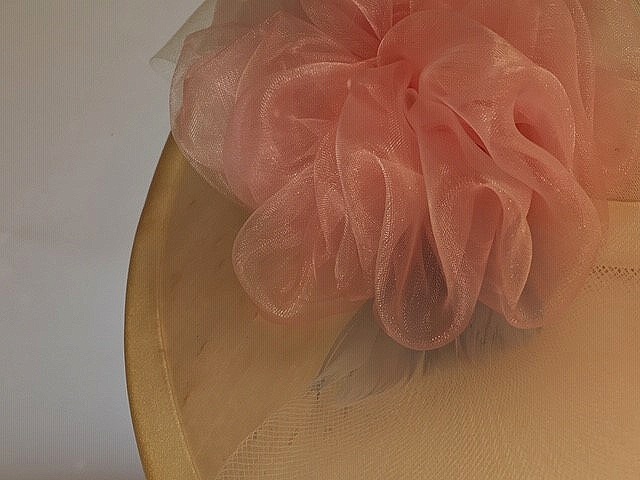 This is a lovely hat and will have hat elastic for a secure fit. 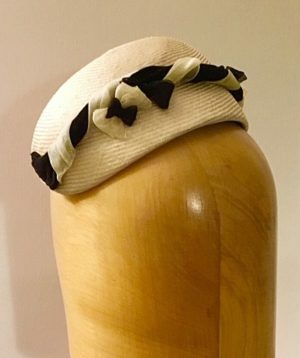 Should you wish to order this style of hat then the fixture to head can be of your choice.